I realize that we still have plenty of light available to ride or run right now but before you know it we will lose our longer days. So are you going to let that impact your training or are you going to adapt. Adapting to low light conditions when running, riding, hiking, climb or camping means having a light source. 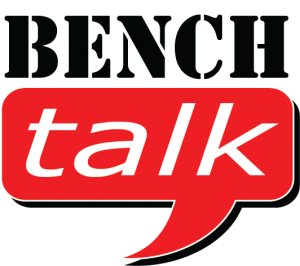 So in this edition of Bench Talk, I am going to cover quite a bit about your lighting options, terminology and practical applications. As usual, before we jump into the show I have some notes and offers for you our listeners. Note: Our offer on the Free Century Plan has concluded. If you registered for our new upcoming newsletter and did not receive an email from me about getting set up I apologize and will get to you shortly if I haven’t already by the time this show airs. A big thank you to all those who registered!!!! I realize that I have a global audience and some of my listeners that live much closer to the equator are probably asking what longer days. Regardless of where in the world you live having some knowledge about light solutions can mean the difference between having a fun experience or potentially a disastrous experience. If you are a hiker, runner, road cyclist or mountain biker you have probably met someone who uses lights or maybe you have purchased a few. On today’s show I am going to cover some basics, some intermediate and even advanced topics when it comes to lighting. One of the reasons I chose this topic is I am deficient in the area of lighting. I have camped, hiked, run, and biked with various forms of lights and wondered if I had truly chosen the best options for myself. While I don’t want to be come an expert on the subject I do have more and more athletes signing up for ultra distance and XC races that occur in low light or no light conditions and I need to better understand the options available. When I think of lighting I think of several things, safety, usefulness, and cost. Safety accounts for my biggest concerns such as are the lights bright enough, do they fulfill mandates set by existing laws, will I get burned if I handle them incorrectly are they bright enough for what I am going to use them for and lastly are the choices I am looking at a good investment or just another short term gadget that will land on the heap of other failed technology purchases. Let’s cover some jargon or terminology before I start to answer some of the more technical questions as I begin to narrow down my own requirements. When looking into lights we need to think of two things first. Whether you are trying to be seen or you are trying to see clearer. In either case, we need to think about the lights, how they are being powered, how they are being mounted and how strong the lights are. When I want to be seen while riding on open roads I don’t start with technology in mind. Instead I think about the roads I am going to be riding on. I typically will stay away from high traffic areas when I am training at night under the stars. However many of the athletes that I have coached were also commuters who didn’t have this luxury. In either case I still recommend the non-technical solution of do everything you can to make yourself as visible as possible in low light conditions such as wearing light colors or even reflective clothing. There are a myriad of low-tech options such as reflective clothing, shoes and even reflective tapes that can be applied to your bike. There are even commuter bikes that have been painted with highly reflective paints. When it comes to light options that help me to be seen I look for blinking lights. These lights do not have to be super expensive and come available with many different mount types, power options and bulb technologies. I would say that the least expensive will often be O-ring mountable, use LEDs and are often powered by watch batteries. However you can spend quite a bit more and get higher output lights and more features such as rechargeable batteries, built in cameras and even radar! Being able to see ahead in low light conditions especially when there are performance concerns, I have always felt the brighter the better! However there is a safety component too. When trying to get the most light in front of me as a road cyclist I have to remember that is isn’t wise to blind motorists or fellow cyclists. When I am running at night I can usually get away with some flashing lights and maybe my smartphone and reflective clothing as I will run at times of the year at night when there is virtually no auto traffic. When I have been hiking I have usually taken just a small flashlight in case I can’t get back to my car or camp site before nightfall. I have not had the pleasure of running trails or riding single track at night. If I were to run trails at night I would leave the flashers at home and pick up the brightest headlamp I could find that wouldn’t burn my forehead or hair. The same goes with Mountain Biking but I would of course include not only a headlamp but also the brightest handlebar light I could afford. I would actually take a red rear flasher with me on the single track as well so that those following the trail would be able to judge how close they are to me. I will want a handlebar fixed mounted LED 500-700 maybe even 800 lumens, rechargeable battery with a normal or low setting at 3-4 hour run time in High or Full Mode with at least a 1 hour run time but preferably 2 hours. The battery pack can be external as long as it provides the required run time or better. If I were hiking or running technical trails I might go for something about the same as riding roads and head mounted as long as the run time was approx. 1-2 hours and the batteries didn’t weigh a ton or get hot. If I were riding single track or gravel at night I would want a helmet lamp and handlebar fixed mounted LED at 3600 lumens or GREATER!!! The reason for the helmet lamp would be to have directional light to look at areas of the trail from side to side or even to fill in darker areas closer to the front of the bike. Modern lighting for sports and recreation primarily relies on two types of batteries these days. NiMH – Nickel Metal Hydride batteries are lighter for comparable run times to the older NiCAD batteries. Where LiPO and Li-ion – Lithium Ion use the same batteries tech found in modern electronic devices such as smartphones, tablets and laptops. Li-ion batteries have a much higher energy density than traditional bike light batteries like NiMH. This means that Li-Ion batteries store more electrons by volume than other batteries which in turn means you can have longer run times with a lighter battery. You will also find that commuter and trail lights are likely going to be rechargeable but will they be rechargeable via a USB port or via your standard electrical outlet. Where as safety or blinky’ lights most often use disposable watch batteries. Lux: Lux is the measure of the intensity of light on an area or surface, most commonly this is measured at a distance of between one and ten meters. Beam angle: The beam angle gives an indication of how much the light spreads from the original source. Some lights have an acute beam angle that focuses directly ahead (increasing a light’s lux), while others have a broader beam angle that spreads (decreasing a light’s lux). Beam Type / Setting: Super, High, Full, Standard, Regular, Low, Flash, and Pulse are just some of the various beam types or settings you may encounter. Burn time: Is how long a light takes to go from full charge to flat on a given beam type or setting. Different light patterns are cast depending on the bulb and its reflector. The most common patterns are floods and spots. Floods projects light in a broad swath, usually around 30 degrees. For the same lumens, its light is less bright and more diffuse than a spotlight. But the wider coverage enables you to see potholes that are not in your direct line of sight, and even the loops and turns of a rocky mountain bike trail. However, distant objects are harder to see when using a floodlight. Spots, on the other hand, have a tighter, 10-degree lighted area and more concentrated pattern, making them suited for a rider wanting to see farther up. Spotlights are great for faster road rides.